A ground-breaking agreement of co-operation was signed in Kampala, between UNICAF and Next Media, (the umbrella group for NBS TV, Nile Post, Salam TV, Sanyuka TV and a host of other companies in Uganda). 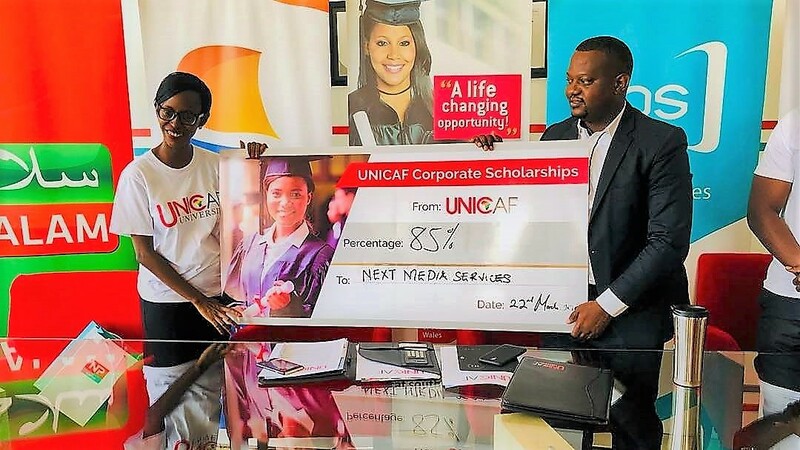 The co-operation between the two organisations falls under the innovative UNICAF Corporate Scholarship Scheme, and will enable employees of Next Media to increase their professional knowledge and skills at a fraction of the original cost, thanks to guaranteed 85% UNICAF scholarships plus 15% sponsorship offered by their employer. Under the agreement, eligible Next Media employees can study online toward Master’s degree programmes offered by the University of South Wales in the UK, or multi-campus Unicaf University in Africa, or even conduct scientific research leading to a Doctorate degree qualification with Unicaf University. Speaking at a press briefing, Joe Kigozi, Next Media’s Chief of Strategy hailed the agreement and said that it will go a long way in consolidating the company as the leading multi-media corporation in Uganda. “It is a milestone partnership. We want to train our staff, give them the right tools to deliver excellent services,” Kigozi said, adding that staff training is a part of Next Media’s strategy to improve the quality of its human capital. 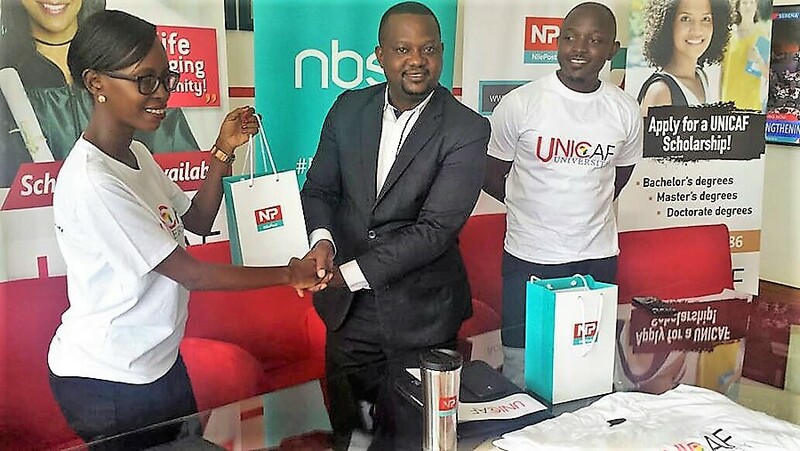 Pearl Nimusiima, Marketing Manager of UNICAF in Uganda said that Next Media employees will now be in a position to advance their careers without interrupting their work schedules. “They will interact and network online with professionals from around the world and have access to an extensive online library for their studies,” she added. UNICAF’s state-of-the-art Virtual Learning Environment not only facilitates the online delivery of study material, it also connects students from different countries and enables interaction with internationally qualified, experienced tutors, participation in multi-national group assignments and valuable networking with professionals in similar jobs and with similar interests. UNICAF is happy to work together with conscientious, forward thinking employers, who wish to offer their employees this unique opportunity, to earn international quality degrees by gaining cutting edge knowledge and skills, to enhance their performance, accelerate their career and also benefit the organisation they serve. For more information about the UNICAF Corporate Scholarship Scheme, and the range of degree programmes available from partner universities visit www.unicaf.org or contact UNICAF local offices.